From March 1st to 4th, 2018, Martinique will participate to the first edition of Tout-Monde Festival, first Caribbean Contemporary Arts Festival organized by Cultural Services of the French Embassy, in close partnership with France Florida Foundation for the Arts. 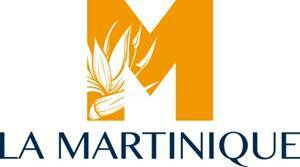 The VIP pre-launch reception & press conference press was this Monday February 26th, 2018, with a presentation of Martinique and a networking event. A French Caribbean seminar will be organized on March 2nd with about 30 to 40 travel agents attending the event. This cultural festival, under the patronage of Mrs. Christiane Taubira, Cultural Ambassador of the festival and former Minister of Justice of France, happening in Miami at the beginning of the Francophonie Month, is inspired by the concept introduced by Édouard Glissant which explores the relation between territories, cultures and individuals with multiples roots in one “whole world”. The Martinican philosopher, poet, and one of the most influential writers of the French Caribbean introduced the notion of the whole world as a network of interacting communities whose contacts result in constantly changing cultural formations. 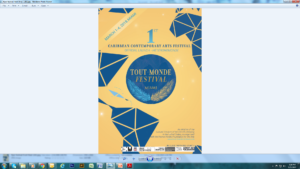 This festival will give the opportunity to artists from the Caribbean, academics and institutions to gather and connect around that concept of Tout-Monde. For this first edition, Martinique will be well represented with 8 artists invited: Patrick Chamoiseau, Josiane Antourel, Jean-François Boclé, Yna Boulanger, Robert Charlotte, Julien Creuzet, Shirley Rufin & Black Kalagan’s. SO.CI3.TY by Khris Burton and Vivre! by Maharaki will be projected and also, “Notebook of a return to my native land” by Aimé Césaire will be interpreted by Jacques Martial. In total, 17 artists from the French Caribbean have been invited by Johanna Auguiac and Claire Tancons, two internationally renowned curators respectively from Martinique and Guadeloupe and Vanessa Selk, director and founder of the festival and Cultural Attaché of the French Embassy. Artists from Martinique, Guadeloupe and French Guyana will interact with 7 others from Cuba, Dominican Republic, Haïti, Puerto-Rico, Trinidad and Tobago and Venezuela. “It was quite evident for Martinique Tourism Authority to give its support to this Festival based on a concept introduced by one of the most famous and influential poet of the French Caribbean, Edouart Glissant” said Karine Mousseau, Tourism Commissioner. Martinique is blessed with a strong and vibrant culture with people dedicated their life to it. From classic figures to the young generation, the Island of Flowers is also the Island of Arts and Literature; this is why Martinique is so Magnifique!